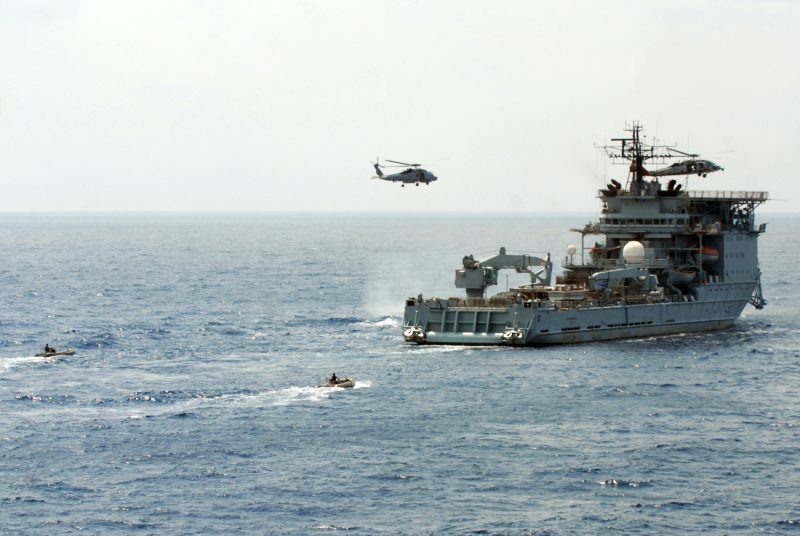 A proposal by a Tory government in the early 1980s to discard the Landing Platform Dock (LPD) HMS Intrepid (pictured here during a 1990 NATO exercise) and sister vessel HMS Fearless saw a Navy Minister sacked. Photo: Iain Ballantyne. According to the Ministry of Defence (MoD), the UK Government is not conducting a Defence Review but rather an assessment of the 2015 Strategic Defence and Security Review (SDSR). That follow-on to the calamitous 2010 SDSR is itself considered by many to have been botched and left the UK Armed Forces underfunded. The 2017 not-a-Review – launched under the aegis of the Cabinet Office – is to be completed soon, producing ‘efficiency measures’ after a mere 90 days consideration and no detailed investigation of strategic defence or security impact of cuts. In reality what is being contemplated represents possibly the gravest RN capability cut since the end of the Cold War. Indeed, the scale of the cuts facing the Royal Navy is (once again) calamitous. Up to 1,500 Royal Marines are possibly to go, all the major RN amphibious shipping in which so much has been invested, two mine-hunters, a survey ship and Wildcat helicopters. These potential measures follow a stealth cut already implemented, with the Navy’s only forward battle damage repair ship, RFA Diligence, retired from service without replacement. The 21,500 tonnes helicopter carrier HMS Ocean is already slated to go, again without replacement, leaving the two new strike carriers to fulfil the job, despite their unsuitability for such a task. Nobody with any sense uses a 65,000 tonnes warship as an amphibious assault platform close to a potentially hostile shore and/or in restricted waters. Apparently the British think they can get away with it when history and common sense indicates they are courting disaster. 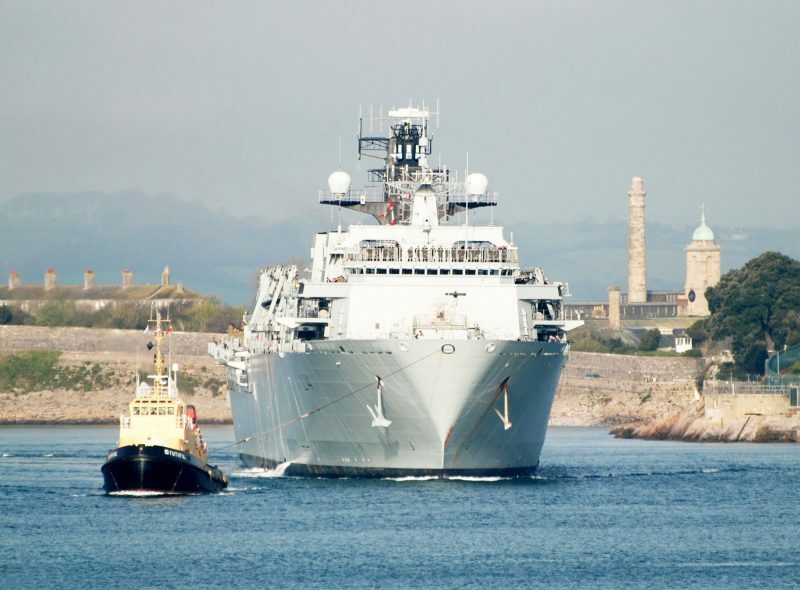 Today a threat by a Tory administration to get rid of the UK’s key amphibious warfare ships (including HMS Albion, pictured) has provoked a storm of protest and even a senior officer to reportedly tender his resignation. Photo: Dennis Andrews. In recent times very few British senior officers have nailed their colours to the mast like this, but in the past there were several episodes where top brass and govt ministers chose principal before job security. 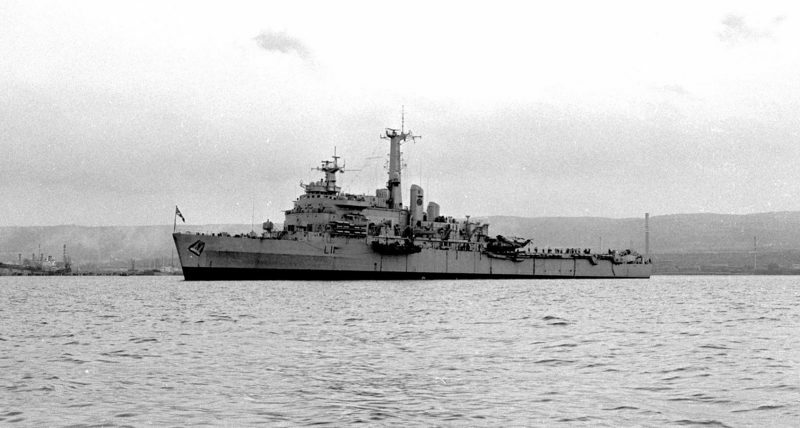 In 1966 Christopher Mayhew, one of the more experienced and erudite Labour politicians of his age – a former Shadow War Secretary and spokesman on foreign affairs – resigned as Minister for the Navy in protest at the Wilson government’s decision to cancel the CVA-01 future carrier. The distinguished war hero Admiral Sir John David Luce, the then First Sea Lord, resigned too. As Admiral Sir James Eberle has revealed in his memoirs, the Board of Admiralty considered the question of resignation in the late 1970s when the First Sea Lord was Admiral Sir Terrence Lewin. He asked his fellow senior officers whether or not – if the new Invincible Class carriers were axed on financial grounds – this should be a resigning issue. The admirals around the table thought resignation would not alter any government decision, but that if the First Sea Lord resigned then the uniformed members of the Board should too. In 1981 Keith Speed, who was also Lieutenant Commander in the Royal Naval Reserve (RNR), was sacked by Prime Minister Margaret Thatcher after refusing to hand in his resignation as Navy Minister. Speed had been unable to accept savage cuts to the Royal Navy being put forward by Secretary of State for Defence John Nott. The Falklands War proved Speed’s position was correct when the amphibious assault ships and carriers Nott wanted to axe saved Britain from total humiliation. They were pivotal in liberating the islands from Argentinean occupation. Prior to 1981, during the run-up to the so-called Nott Defence Review, the incumbent First Sea Lord, Admiral Sir Henry Leach, issued prophetic warnings about the risks being created by the government in gutting British seapower. The broadsides fired off by Leach and Foreign Secretary Lord Carrington during those Whitehall battles are preserved in the files. Does this sound like the present not-a-Defence review? Almost exactly and we can but pray that some serving senior officer is setting down the argument against such unwise self-inflicted naval debilitation in equally stark terms for Mrs May. When eventually Leach was allowed to speak to the PM, he emphasised that it would be a serious miscalculation if Britain disregarded the deterrent effect of a major maritime capability in peacetime. He complained that his advice had not been accepted but then the Argentineans invaded the Falkland Islands in April 1982. Admiral Leach warned that if the UK did not send a naval task force then it would be transformed into a nation whose word counted for nothing in international affairs. The UK has arguably already reached a point today where its continual hacking away of core maritime capabilities alarms allies, delights potential enemies and potentially makes the RN a laughing stock. Some thought that another, more recent, First Sea Lord, Admiral Sir Mark Stanhope, should have resigned at the time of the 2010 SDSR, when the Navy and the Nation was mugged out of its carriers and Harriers. Subsequently Admiral Stanhope warned during operations against the Gaddafi regime in Libya – just after Ark Royal and the Harriers had been discarded – that the fleet would only be able to sustain operations for around 90 days. He also pointed out the utility that Ark Royal and the Harriers would have offered to NATO commanders (something proved by the Harrier carriers of the USA and Italy during the campaign). Instead of sage advice being taken aboard by the Cameron-led coalition – and errors admitted – Stanhope and the Chiefs of the General and Air staffs, lost their positions on the Defence Board (the highest non-ministerial Ministry of Defence committee). It was further proof that today’s British politicians possess profound ignorance of defence matters combined with blithe arrogance, thinking they know more about defence than experienced senior officers. 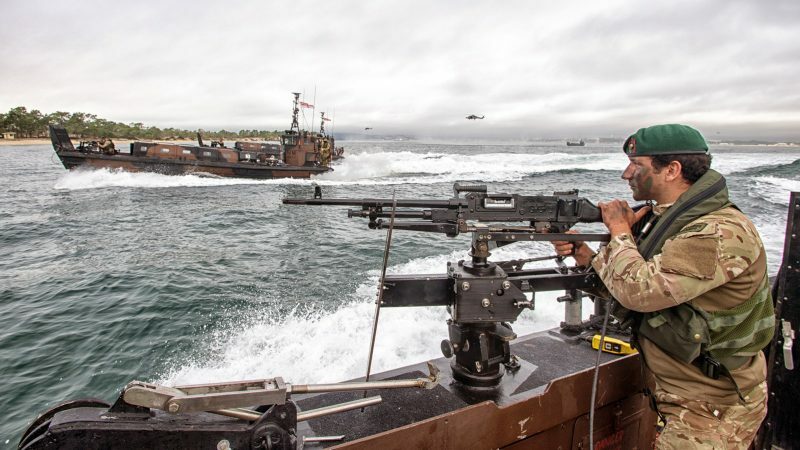 Royal Marines storm ashore in their landing craft during a recent major NATO exercise in which the UK played a leading role thanks to its elite commandos and amphibious warfare ships. Photo: NATO. The existential crisis facing the Royal Navy and the Royal Marines today is so serious that someone, other than the brave (but relatively junior) Rear Admiral Alex Burton, should perhaps be considering resignation. Some point the finger at the Defence Secretary himself, saying that Sir Michael Fallon is part of the problem. Given the rising level of geo-political tensions and threats, unless Fallon can bring order to a very disorderly situation, then he should indeed resign. Making excuses that the First Sea Lord is the budget holder and therefore it’s all down to him are nothing but buck-passing. The buck actually stops with Fallon and the rest of the Govt who are charged with ensuring proper defence of the realm. Perhaps the entire May administration should resign? Fallon is not alone of course in the pantheon of poor UK Defence Secretaries. Philip Hammond and others who served under the previous Coalition and also Labour governments in recent times were equally bad. The last truly great Defence Secretary was George Robertson who presided over the UK’s last proper Defence Review, in 1998. It rightly placed the Royal Navy and expeditionary warfare in the vanguard. That is what most other major nations with a global role are doing today – a truly maritime era in which navies are growing. The RN is no longer as exceptional as it used to be and is outranked in terms of size and capability by several other fleets. Until 2005 it ranked second only to the US Navy in terms of fighting record and full spectrum capability but it has been subjected to endless cuts that have severely weakened a priceless national asset. Today’s UK Government may talk about a bigger navy but it’s smaller than ever. Ministers also bang on about increases in defence spending despite Britain devoting less than half of GDP to defence than was spent in the early 1990s. Strangely, the UK’s GDP has increased since 1990. According to World Bank figures those nations currently spending around three per cent on defence include, Botswana, Colombia, Mauritania, Morocco and Singapore. Meanwhile, the UK Govt boasts about spending two per cent of GDP on defence, the minimum required by NATO. It even pads out that total with things such as pensions (which do not contribute to defence capabilities). The London-based International Institute for Strategic Studies (IISS) has claimed that in 2016 the UK actually spent less than two per cent of GDP on defence. A decade ago the UK was spending 2.3 per cent of GDP on defence. In fact, between 2001 and 2012 it never dropped below that. Some are now calling for the proportion of GDP devoted to defence to be three per cent (at the very least). Defence policy in the UK now seems to focus mainly on defence cuts rather than the actual threats that must be met, with capabilities shaped and funded accordingly. No serious global fleet is getting rid of its amphibious ships or any other critical naval platform. Drones will not replace ships for some years (if ever). They are a case of the emperor’s new clothes (and a convenient vehicle for politicians to cut today’s defence while promising jam for tomorrow). The pathetic number of new vessels ordered by the UK in recent years will take too long to replace those currently in service, which are likely to be obsolete before they arrive. Britain’s politicians keep making dreadful decisions that are completely at odds with the reality of our dangerous world. It will cost lives and only increase the likelihood of defeat for the UK in a future war. An unwise stealth cut already implemented: The crucial forward battle damage repair ship RFA Diligence has been retired from service without replacement. Photo: US Navy.